Yayoi Kusama’s Infinity Rooms at The Hirshborn Museum in Washington D.C. When I woke up a few days ago, and saw this announcement on designboom, I knew I had to share it with you guys! 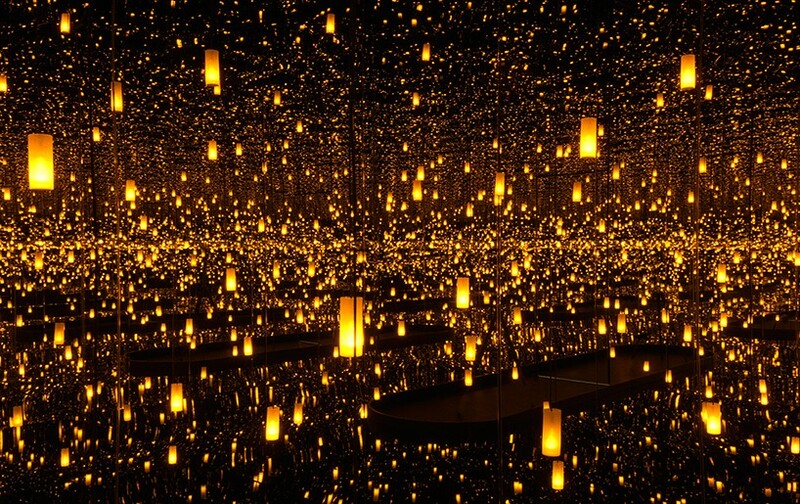 If you’re in Washington D.C. or if you’re planning a trip there soon, you’ve got to visit the Smithsonian’s Hirshborn Museum to see the Infinity Mirror Rooms by Yayoi Kusama. The Hirsborn will have a large exhibition showcasing 65 years of Yayoi Kusama’s work in addition to 6 of her infinity rooms- the most ever shown together. I know the exhibit will be coming to Atlanta in 2018, but I cannot wait that long, so I’m hoping to visit sometime next month to check it out. To be able to see what Yayoi Kusama has created in person would be such a treat since I adore her work. To get passes to see the Yayoi Kusama exhibition at The Hirshborn Museum click here.